What is blood pressure? What is hypertension? Before we follow the symptoms of systemic arterial hypertension, a brief explanation for the reader to understand basic concepts. Blood pressure is the pressure that the blood inside the arteries exerts on your walls. Blood pressure is pulsatile, that is, increases with each heart beat and reduces when it relaxes. Systole is the name given to the contraction of the heart muscle, so systolic pressure is the blood pressure during each heart beat. Diastole is the brief moment of relaxation of the heart between each beat. Therefore, diastolic pressure is the blood pressure during the phase where the heart muscle is relaxed. Blood pressure is measured in these two moments, so it is always described with two values, known as maximum pressure and minimum pressure. In fact, as we have just seen, the correct name is systolic pressure and diastolic pressure. Therefore, a pressure of 110/70 mmHg* means a systolic pressure of 110 mmHg and a diastolic pressure of 70 mmHg. * mmHg is the acronym for millimeters of mercury, which is the standard unit for measuring blood pressure. Our body was shaped to work with arterial pressures around 120/80 mmHg. When our vessels and organs are exposed to a chronic increase in blood pressure, that is, hypertension, there is a high risk of injury to them, especially in the brain, heart, kidneys and eyes. Hypertension is a very dangerous disease because it has one characteristic: it does not cause symptoms in the vast majority of cases. No wonder she is called "the silent killer". The mere fact that the pressure inside the arteries rises is not enough to cause symptoms. 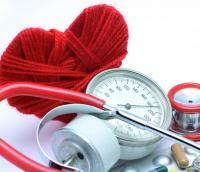 The symptoms of hypertension only appear late, after some organ is already seriously injured. In fact, in these cases, it is not the signs or symptoms of hypertension that we feel, but rather the signs and symptoms of the consequences of years and years of inappropriately treated hypertension, such as symptoms of heart failure, stroke, or kidney failure. Therefore, all people should have their blood pressure checked at least once every two years. If you never seek to know when your blood pressure is on because you think that some symptom will alert you to the problem, know that you may be at this moment with high blood pressure, suffering damage to vital organs. Reinforcing the most important concept of this text: if you do not measure your blood pressure it is impossible to know if it is normal or high. Headache or neck pain are symptoms of high blood pressure? This may be the biggest myth about hypertension. It is extremely common for a patient to relate a headache to an elevation of their blood pressure. Let's go to the facts. Every patient with pain, especially if it is of high intensity, has a blood pressure above the usual values, be it headache, tummy ache or pain in the toe. Therefore, it stands to reason that the patient will always notice that their pressure is high every time they have a strong headache. The problem here is to confuse cause with effect. Blood pressure can only be found guilty of headache when it reaches very high levels, usually above 200 mmHg of systolic pressure and/or 110 of diastolic pressure. Patients with hypertensive peak, ie, sudden elevations of pressure, well above than usual, are generally those where it is acceptable to associate a headache with a blood pressure uncontrolled. Here is one more caveat, if the patient has grade II hypertension poorly controlled for months, he may feel nothing even with exorbitant values such as 220 to 240 mmHg of systolic pressure. Conclusion: Headache or neck pain are not reliable symptoms of high blood pressure. Nervousness and anxiety are symptoms of high blood pressure? Another very common association is between anxiety attacks and hypertension. The logic is the same as the headache. It is obvious that every nervous person will have his / her blood pressure higher. But it is anxiety that increases the pressure and not the high pressure that causes an anxiety. That story: "little guy has been very nervous lately. That must be high pressure, "has no scientific basis. But once again, the hypertensive crisis is an exception. In some cases, especially in patients with a weak heart, a sudden and severe hypertensive peak (pressures above 200 mmHg systolic) may cause a greater effort to the heart, leading to fatigue and shortness of breath symptoms, which can cause anxiety in more sensitive people. Conclusion: Nervousness and anxiety are not reliable symptoms of high blood pressure. Is nasal bleeding a sign of high blood pressure? Nasal bleeding is another symptom often associated with hypertension, but it also occurs in selected cases. There are studies that show that only 15% of the patients who seek an emergency due to lack of control of the arterial pressure present nasal bleeding. That is, 85% of patients, even with hypertensive crisis, do not bleed from the nose. There are dozens of causes for nasal bleeding, so before you blame hypertension, if your nose bleeds frequently, see an otolaryngologist because there may be another cause for this problem. Conclusion: Nasal bleeding is not a reliable symptom of high blood pressure. Dizziness is a symptom of hypertension? Dizziness is not a common symptom of hypertension. In fact, hypertensive patients already under treatment often have dizziness not as a symptom of elevated pressure, but as a side effect of medications, especially when the pressure falls too quickly. If the pressure rises too much and suddenly, and here we are talking about values above 200-220 mmHg systolic pressure, it is possible that the patient reports some degree of dizziness or lightheadedness. It is important to note that hypertensive spikes can occur in stroke pictures and dizziness is a common symptom of this complication. Conclusion: Dizziness is not a reliable symptom of high blood pressure. Waves of heat and facial redness are symptoms of high blood pressure? The increase in blood pressure does not cause heat or make the face more red. Flushing and facial heat occur when blood vessels dilate on the face. This picture can arise from a number of factors, such as sun exposure, heat, cold, spicy foods, strong wind, hot drinks, reactions to skin products, emotional stress, alcohol consumption or exercise, all of which may cause changes of blood pressure temporarily. Conclusion: Heat and facial flushing are not reliable symptoms of high blood pressure. What we wanted to pass on in this article is the notion that, in more than 90% of cases, hypertension is a silent disease, which may be present for years without causing even a symptom. When symptoms occur, they are usually related to hypertensive crises, with significant and sudden increases in blood pressure, which are not frequent in most hypertensive patients. So if you have not measured your blood pressure recently, it is impossible to estimate its value. And if you do not measure your blood pressure from time to time, you may be suffering from lesions of noble organs, which will lead in the future to serious diseases.